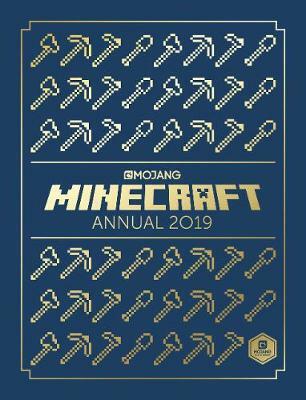 The official Minecraft Annual 2019 is a celebration of Minecraft's Year of Building. Inside you'll find build ideas, fun activities and a showcase of the Minecraft community's most impressive community builds. You'll also hear from expert build team Blockworks, and the Mojang tea... read full description below. 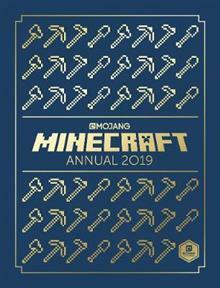 The official Minecraft Annual 2019 is a celebration of Minecraft's Year of Building. Inside you'll find build ideas, fun activities and a showcase of the Minecraft community's most impressive community builds. You'll also hear from expert build team Blockworks, and the Mojang team have some build challenges for you to try, too. It's almost enough to keep Minecrafters busy for an entire year. Mojang is a games studio based in Stockholm, Sweden. Mojang was founded in 2009 by Markus Notch Persson and Jakob Porser. Markus Persson is also the creator of Mojang's best-selling game to date: Minecraft. The alpha version of Minecraft was launched in 2009, and the official game went on sale in 2011. Since then over 100 million copies have been sold, across multiple platforms. It is now the second best-selling video game of all time. In 2014, Mojang was bought by Microsoft. The acquisition hasn't changed much about the company - they still release and support games on multiple platforms, including iOS, Playstation and many more, as well as Windows and Xbox. Mojang plan to keep their independent spirit and continue to treat their community with the respect and honesty it deserves.